When Kelsey and James came over to sit and chat about me photographing their wedding, I could tell right away that I wanted to be there when they got married. Their love is obvious and a joy to watch them interact. 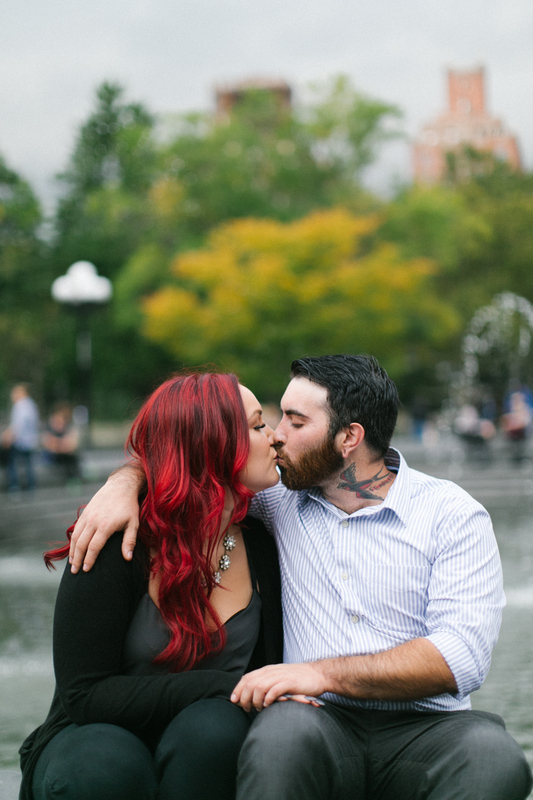 This is their Washington Square Park engagement session we did a few weeks ago. James makes me smile; he looks kind of tough with his awesome neck tattoo, but he's such a total softie, and melts when Kelsey smiles at him. Sorry, dude, I'm telling your secrets! I am so looking forward to their Central Park wedding this spring!